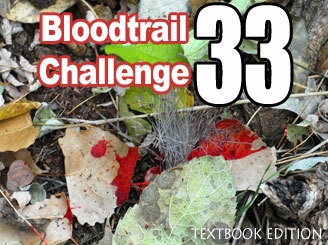 You quietly climb down the treestand and inspect the scene. 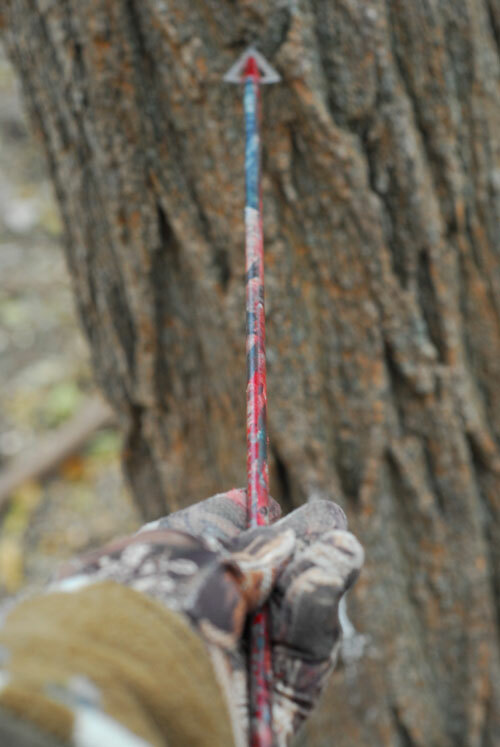 The Carbon Express Maxima Hunter arrow is coated slick with bright red blood. You also find a notch on the cottonwood behind the deer. 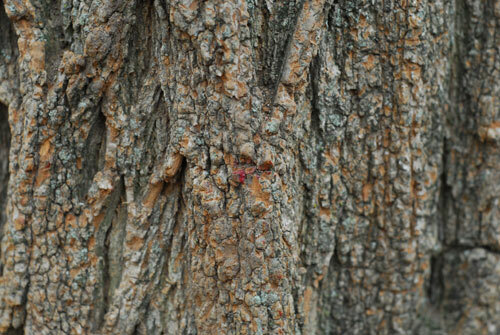 Obviously this is where the Muzzy Phantom MX 2 blade hit the tree. There is blood spray all over the initial shot location. Using these clues, answer the question below.